Albert Costa was a very good tennis player who was amazing on clay court. He won twelve singles titles in his tennis career all on clay courts. The winner os the 2002 French Open, Costa is also the bronze medalist of 2000 Sydney Olympics in men's doubles event of tennis. Here is the detailed information about this player. Albert Costa is a professional tennis player from Spain who is a very good player at Clay courts. He is the winner of 2002 French Open, one of the four Grand Slam tournament in the world. He was born on 25 June, 1975 in Lleida (Spain). He is also the Bronze medalist of 2000 Sydney Olympics in doubles category of Tennis sport. 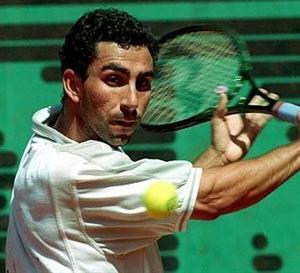 Albert Costa started his tennis career at Junior level. He won the Orange Bowl tournament and reached the finals of French Open Junior in 1993. He also began his professional career the same year. In 1994, he become the ATP's Newcomer of the year due to his excellent beginning in professional tennis. His first title came at Austrain Open where his opponent in the final was Thomas Muster. He won many titles after this including the 1998 Hamburg Masters, which is his first Tennis Masters Series title. But his biggest win came at 2002 French Open where he defeated Juan Carlos Ferrero in the final by 6-1,6-0,4-6,6-3 for his first and only Grand Slam Tournament win. Before reaching the final he defeated many good players like Gustavo Kuerten, Guillermo Canas, and Corretja. He also reached his highest singles ranking of No. 6 by that win. Costa has also played in doubles events. In 2000 Olympics held at Sydney, he won Bronze medal in men's doubles event in tennis sport. His partener was Alex Corretja. His next success in doubles came at Doha when he won his first doubles title while partenering Rafael Nadal. Costa also participated in Team events. In 1997, he was the part of Spain team at World Team Cup where the team become the winner by defeating Australia 3-0 in the final. In 2000 Davis Cup, spain won first time the tournament. Costa was the part of that team which won 2000 Davis Cup. 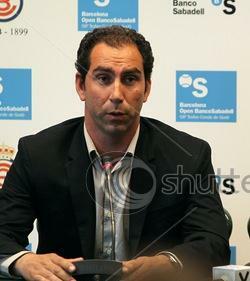 He also become the captain of Spain Davis Cup team in 2008.